A snack and kitchen set fit for any sith lord. 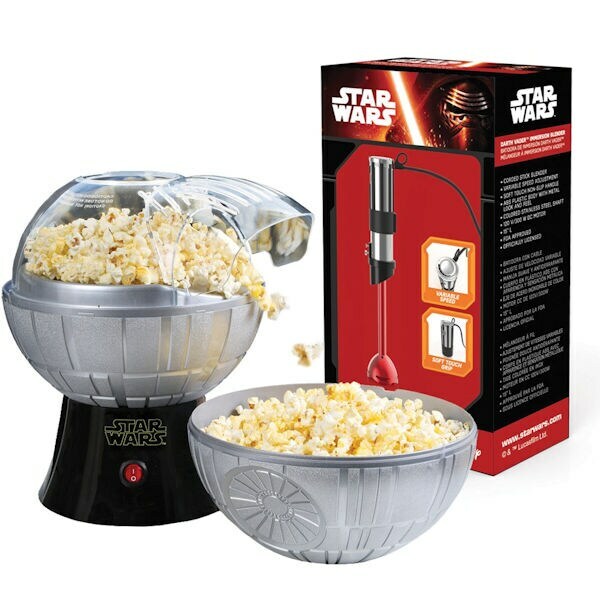 Make delicious hot-air popped popcorn in the Death Star Popcorn maker, and then mix delicious smoothies with the Darth-Vader inspired stick immersion blender. The popcorn maker's top doubles as a bowl. Corded immersion blender has variable speed adjustment, a durable stainless steel shaft, and a strong 120 V/300 W DC motor. Measures 14" Long. Both are FDA approved.